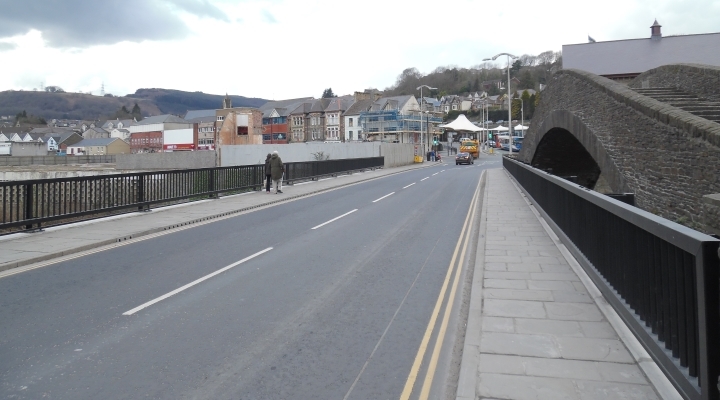 The £1million renovation work to strengthen one of Pontypridd’s oldest and busiest road bridges has now been completed. 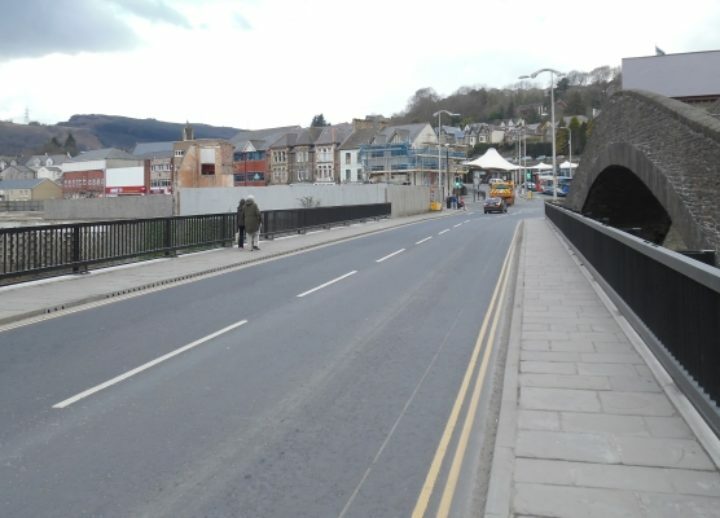 Built in 1857, Victoria Bridge which carries the A4223 Bridge Street over the River Taff in the centre of Pontypridd next to the iconic 1756 William Edwards arched footbridge (Grade I listed) is undergoing essential strengthening work to ensure the long-term stability of the 157-year-old structure. 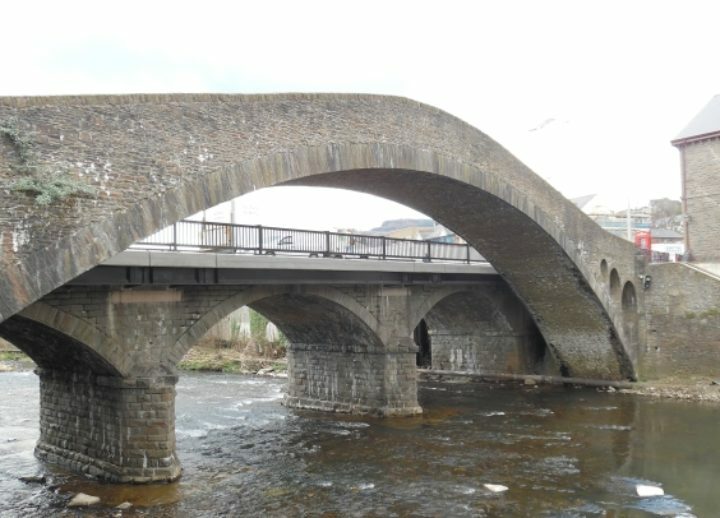 The structure comprises three masonry arches and has been widened to accommodate cantilever footways either side of the bridge. 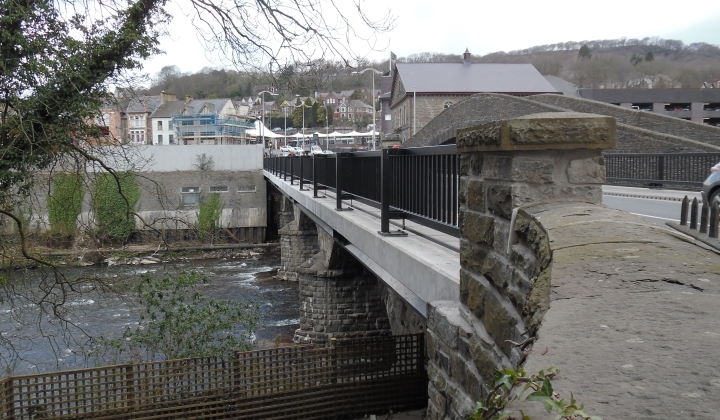 The cantilever footways are supported on concrete encased RSJ’s that extend transversely through the structure above the pier and abutment positions. The transverse RSJ’s in turn support longitudinally spanning precast concrete pre-stressed beams and in-situ reinforced concrete slabs forming the footways. The bridge substructure comprises two masonry piers and two masonry abutments. 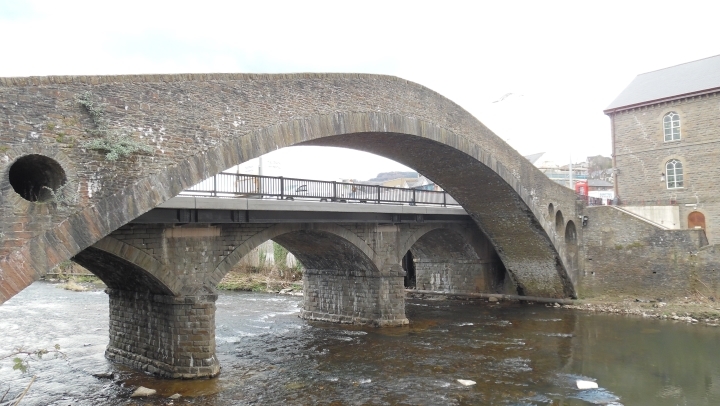 The masonry arches each have a clear span of approximately 12.3m, the overall length of the bridge is approximately 43m. The main focus and key element of the project was the Temporary Works arrangement. Following an in depth risk assessment and cost analysis a proprietary system of scaffold was utilised. The system relied on a footing which was cast into the riverbed and consisted of towers situated at the abutments and each of the piers. These towers support the scaffolding deck which spans the 14m between the piers creating a safe elevated working platform. Due to the high potential severity of a failure of the temporary works, an independent design check and certificate was required prior to the system being certified for use. 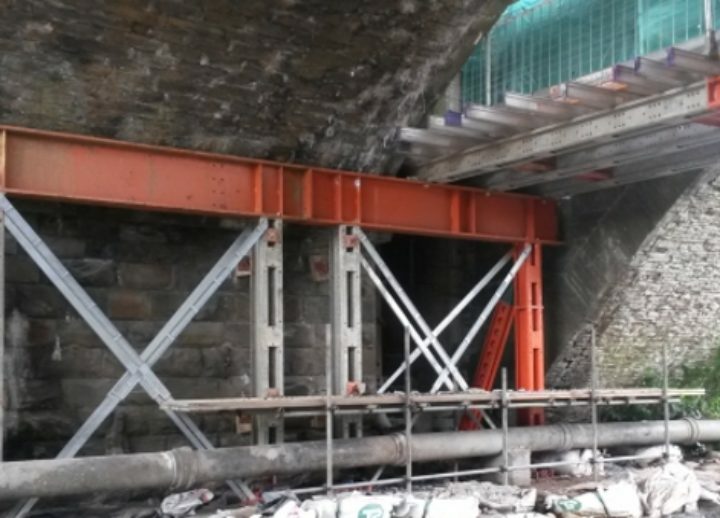 RMD Kwikform were used to supply their Megashor with Superslim and Alform beam system to support the existing bridge under the carriageway to allow the bridge deck to be removed. 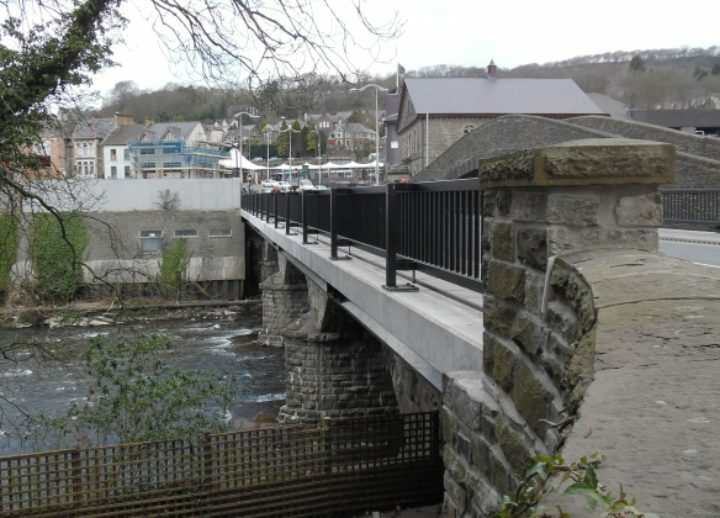 Strengthening works were undertaken in two phases and allowed the bridge to remain open to During Pahse 1, the upstream bridge deck was removed and allowed for the demolition and replacement of edge cantilevers and included structural steelwork, ground anchors, replacement stonework and reinforced concrete construction to the new deck. The carriageway was then resurfaced and the footway paved with flagstones. The same works were then undertaken to the downstream side of the bridge with the Traffic Management arrangement reversed. 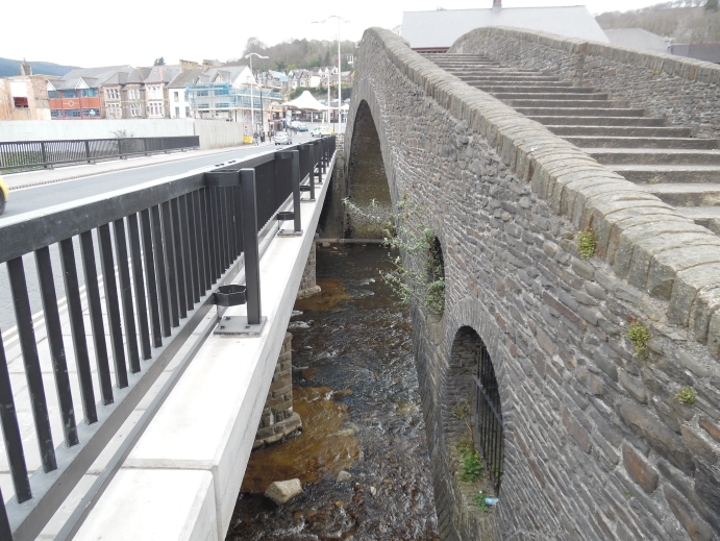 The strengthening works were undertaken as part of the South East Wales Framework and delivered Core Community Benefits. A local unemployed man was given a 12 week work trial and was then, and remains, permanently employed by Griffiths. A visit to a local school also provided students the opportunity to build a 32m model replica bridge and required them to solve similar problems to those encountered onsite.